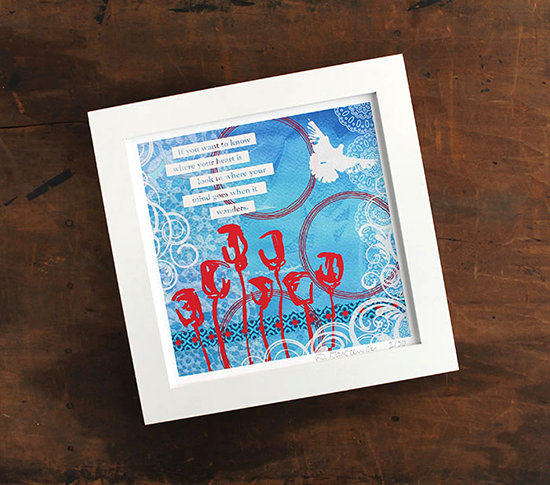 It has been a few months since the Boston Handmade Holiday Gallery. By now, you have begun to miss the opportunity to see many of us featured together as one group. THIS WEEKEND, for two days only, we will join forces at the 2014 Vintage Bazaar at the Pettengill Farm in Salisbury, MA. The flower farm, established in 1792, is the perfect summer location for our group. The Vintage Bazaar is on June 21 through June 22 at 45 Ferry Road, Salisbury, MA. The event officially opens at 10:00 am with a $5 ticket for one day only, or you can pre-order an early bird ticket for $7. An early bird ticket will grant you admittance at 8:30 am on both days. You can order tickets at http://www.mybazaarlife.com/. Come see Susanne Guirakhoo of Enchanted Hue with her exquisite Shibori and handpainted silk scarves. Why hang art on the wall, when you can drape elegant dyed silks over your body? Susanne combines craft and fine art with finesse. 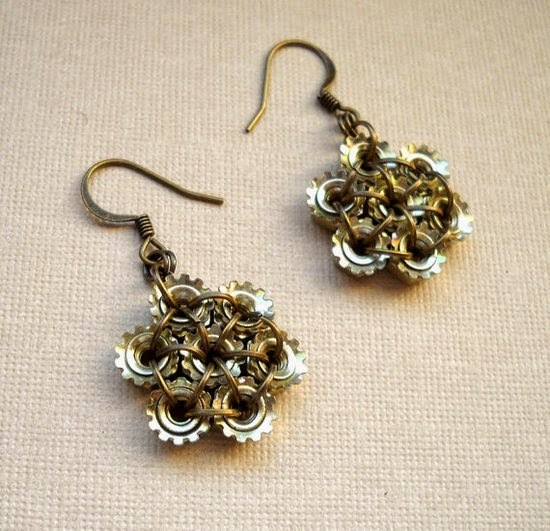 Liz Stewart of Lush Beads will be present with elegant handcrafted beaded jewelry, including her industrial line. She uses new and repurposed hardware to create a sleek fun look you weren’t expecting. Don’t miss her morse code necklaces- they really get a message across! 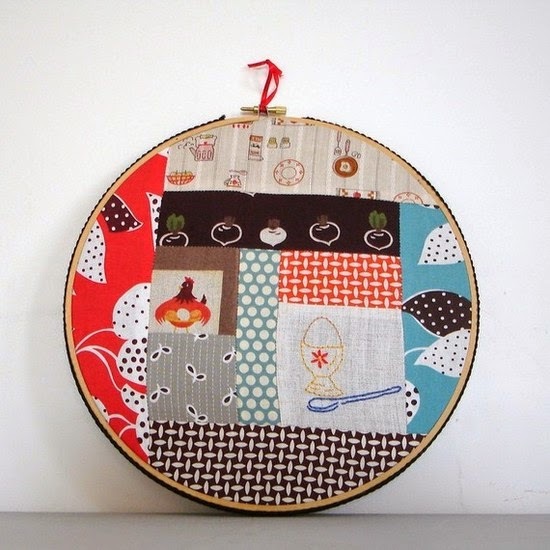 Leanne Tremblay of Loomination is exhibiting handwoven wearables and home goods. Her weaves are lush and soft wearable art. I dare you to try not to touch! I can’t resist, myself. 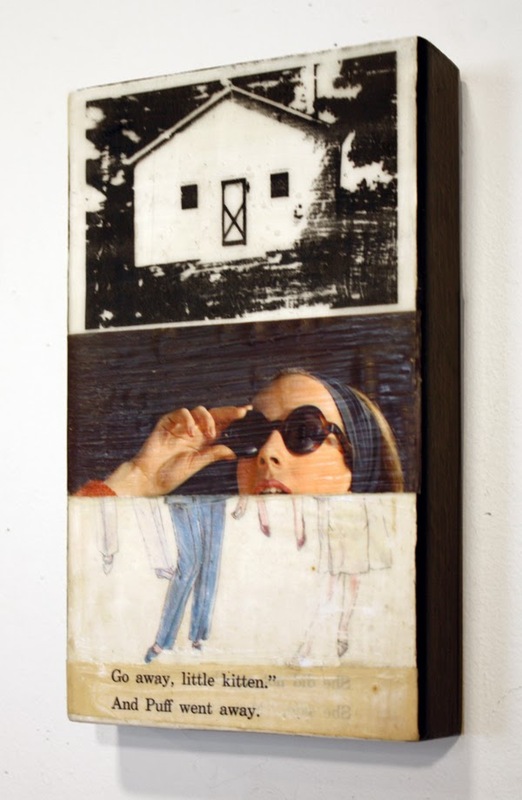 You won’t want to miss Jessica Burko and her original encaustic collage and mixed media art. Jessica combines old photographs, repurposed pages from books, amongst other images, in a way that reflects her own journey as a woman, a mother, and a homemaker, as well as an artist. We can’t wait to see what new items will be there from Sharon Fischer of Stray Notions. It always amazes me to see what a person can create with a needle and thread and their own two hands. Stray Notions brings fun and whimsical to elegant and lovely, all in one breath. Shannon McDonald of McDonald Mixed Media is joining us for her first Boston Handmade show, presenting mixed media and original fine art. 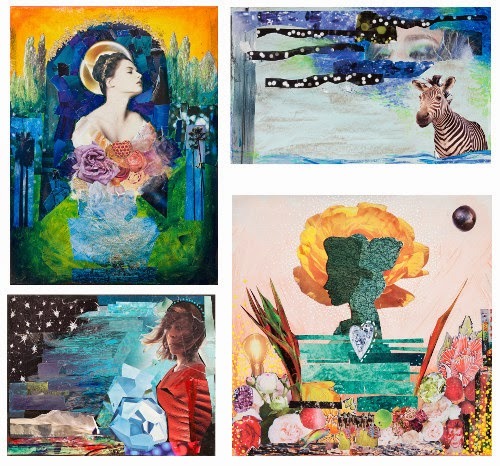 Her collages are fun, surreal, and filled with emotion and vibrant color. Please do not forget Dana Garczewski of Patterned Peacock and her beautiful limited edition prints. Her work has special meaning to me, as my two year old daughter even appreciates her work; particularly a print of a carousel horse she calls her “neigh.” Her surface pattern designs span from food, animals, locations, to cameras, ballerinas, and robots. Lastly, I will be there representing Prunella’s Workshop and our handmade original metal modern jewelry influenced by the medieval and renaissance periods. Our featured work is formed from sterling silver, copper and an array of various semi-precious stones through the use of heat, solder, and a lot of fun with hammers. We look forward to seeing you all at Salisbury at the Vintage Bazaar. It will be a fun-filled day with even more vendors and live entertainment. Better yet, if it’s a hot day, Salisbury Beach is close by for a quick dip!